The tree is laser-cut from 2mm MDF and is painted white. It is sat on a black backing piece. The glass is laser etched with grass and the words "Roots of a Family Tree Begin With Two Hearts"
The white brushed wood-effect frame measures 18.5cm x 23.5cm, and is 3.5cm deep. 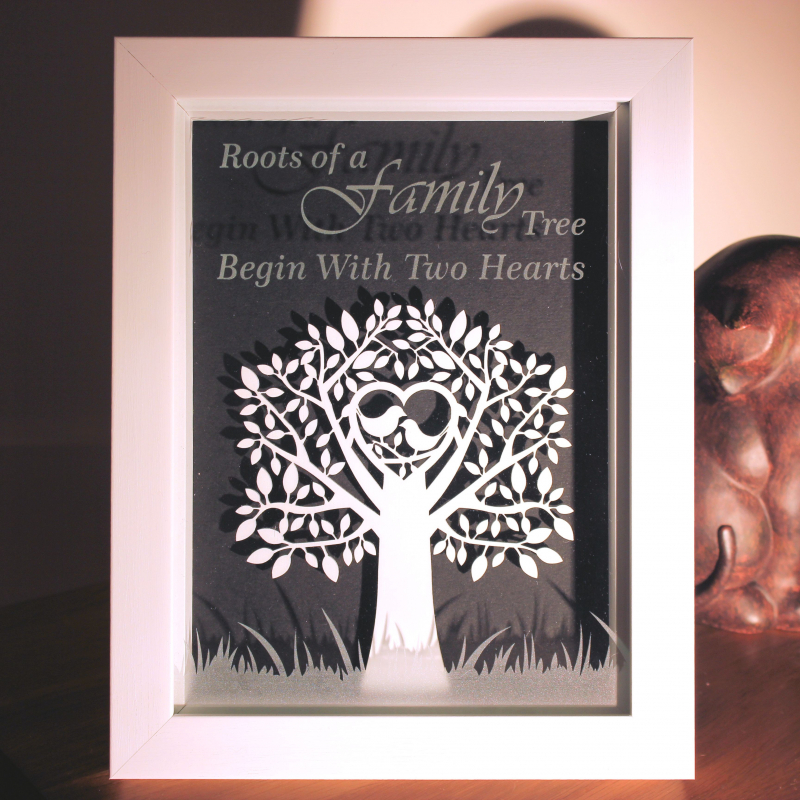 The frame can be either hung on the wall or displayed using the kick-out stand at the back.